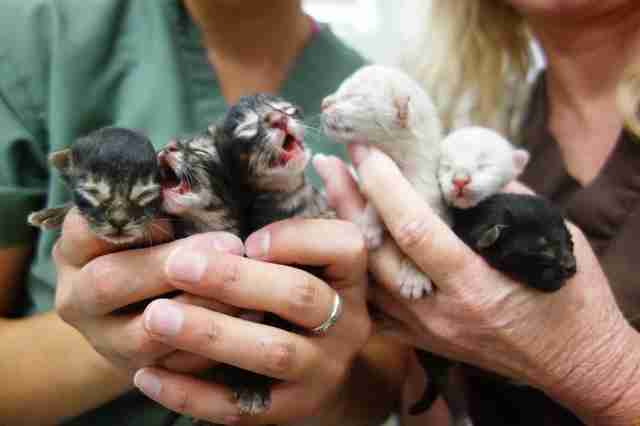 William Grabill, a waste management worker, was emptying bins as usual when he heard the desperate mewls of what he ultimately realized were six newborn kittens. 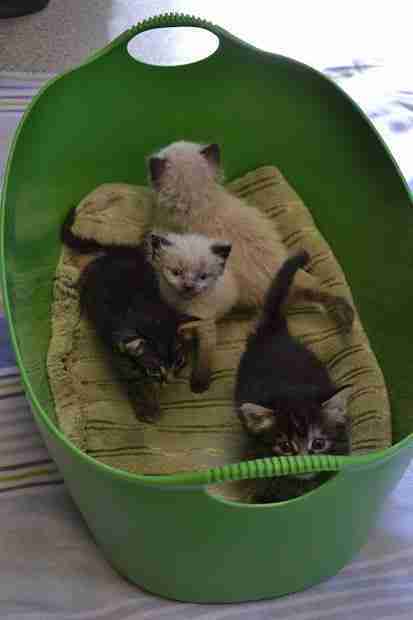 The kittens, who were found toward the end of June, were estimated to be between 1 and 2 days old at the time. Their eyes were still closed and they had their umbilical cords attached. They had been left in a dumpster filled with tar and wood pellets. Sarah Varanini, foster care coordinator at the Sacramento SPCA (SSPCA) in California, told The Dodo it's likely a stray mother cat thought the dumpster was a safe place to keep her babies - although she didn't rule out the possibility that the kittens could have been purposefully thrown away. 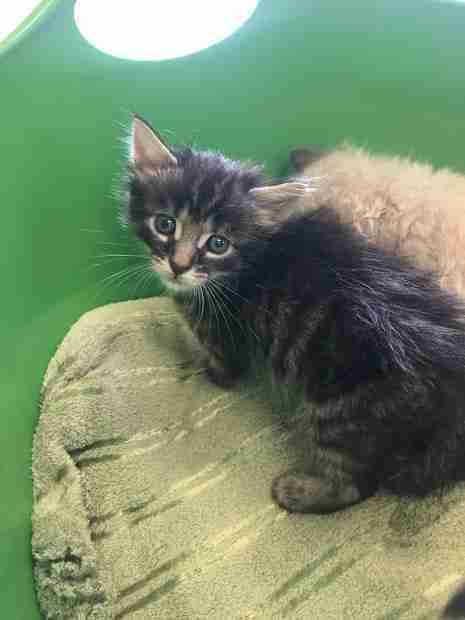 The newborns were taken to the SSPCA and placed into foster care with two staffers, who had the bottle-feeding experience needed to help the young kittens grow big and strong. With time, the kittens - who were thankfully healthy - opened their eyes and started to become more curious about their surroundings, exploring every chance they got. Now, a little over a month since their rescue, a Facebook video shows how much they've grown since they were first found. Sadly, one of the kittens passed away about a week ago, Varanini told The Dodo, noting that it's not unusual when raising such young animals. 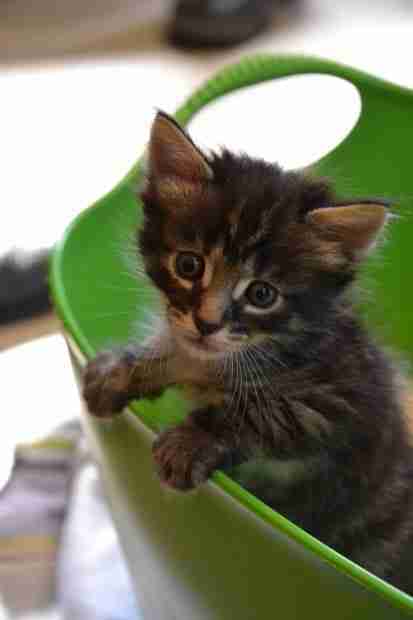 On Thursday, Grabill visited the SSPCA to reunite with the little lives he managed to rescue. The SSPCA said that one the kittens has been named William in Grabill's honor. It's unclear if Grabill plans to adopt one of the kittens himself. 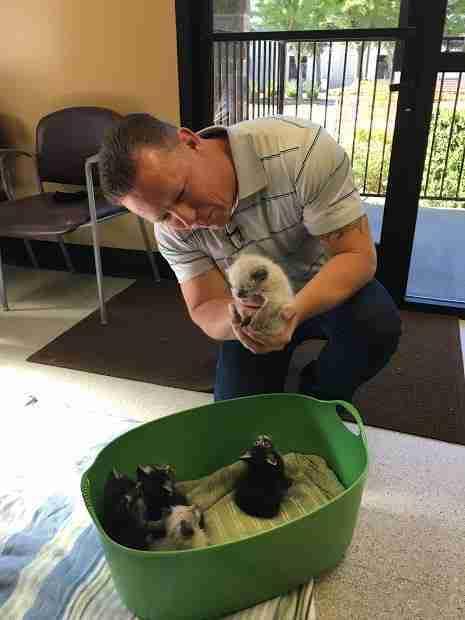 "The first time I saw them, they didn't even have their eyes open yet," Grabill said, during a Periscope video that captured his reunion with the kittens. "It looks like they all turned out great." The kittens won't be ready for adoption until they are 2 months old and weigh about 2 pounds, according to the SSPCA. If you live in the area and are interested in taking a kitten home when they're ready, click here to learn more about the SSPCA's adoption process.